Social media companies finally see growth in earnings in India. There was a time when digital advertising in India meant advertising on Google. And only after a substantial portion of the advertising budget was spent on the search engine would advertisers consider 'experimenting' on social media. But the times are a-changin'. 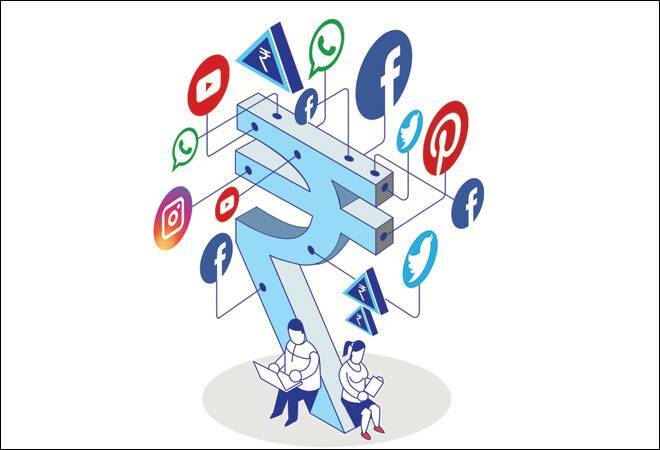 According to a recent filing with the Ministry of Corporate Affairs by Facebook, the social networking site's revenue doubled to Rs 341.8 crore in FY17, compared to Rs 177 crore in FY16. Its profit rose to Rs 40.7 crore in the last financial year, from Rs 31 core in FY16. Similarly, micro-blogging site Twitter recorded a turnover of Rs 50 crore in the 2016/17 fiscal, as compared to Rs 42.7 crore in the previous fiscal. Professional networking site LinkedIn, too, registered an increase in revenue from Rs 368 crore in 2015/16 to Rs 457 crore in 2016/17. All these companies have a user base of millions in the country, but had been struggling to monetise it. The recent growth in revenue is an indication that a change is underway. According to Neil Shah, Director, Counterpoint Research, marketers in India are warming up to the idea of advertising on social media platforms as they realise the potent opportunity these present for targeted marketing beyond TV and print. The increase in smartphone usage, with better and cheaper data now available, has added to the rise in revenues of social media companies. "Moving from Google to Facebook, is akin to moving from desktop to mobile. If you see, most digital advertising is mobile-first and in mobile, Facebook wins over search engines any day, because of the time spent on the platform. So it has become a logical choice," says P.G. Aditiya, Creative Director, Copy, Dentsu Webchutney. Experts also credit the rising user base of social media platforms as a reason for their preference over other digital platforms for advertising. "Marketers are realising that Facebook commands a greater share of eyeballs now; and that is what's showing in the revenues," says Nimesh Shah, Head Maven, Windchimes Communications. Another reason why advertisers are keen on advertising on social media platforms today, according to Shah, is that the once popular banner ads have lost their sheen. "We have a lot of ad blockers now so banner ads are becoming less effective. Besides, social media platforms have started offering better targeting features which is contributing to their growth in the country," he adds. This does not, however, alter the supremacy of Google as the most preferred destination for advertising.